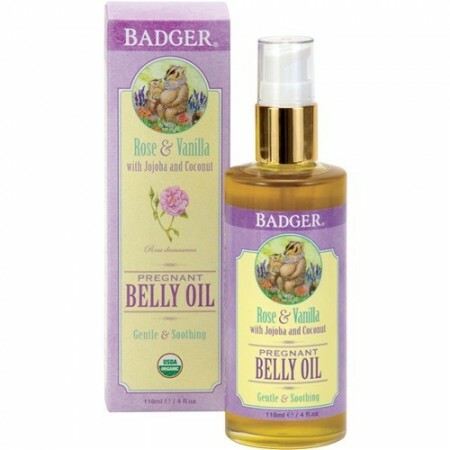 Pamper your evolving body with this wonderfully luxurious Belly Oil from Badger's. Lightly fragranced with the natural aroma of rose and vanilla, this gentle blend of pure organic plant extracts and emollient-rich essential oils helps to relieve your dry, tight, and stretched pregnant belly skin. 118ml.